Uber Black provides town cars and SUV service on-demand from your smartphone. Now that Governor Hickenlooper has officially authorized ride sharing service smartphone apps, car-sharing service Uber Technologies, which operates Uber Black and Uber X in Denver, is looking to expand across the Front Range. Uber< connects people using their own personal vehicle to fare paying passengers, like a taxi without the yellow cab. Those passengers hail Uber drivers via an app on their smartphone. The state Public Utilities Commission will require ride sharing services like Uber and competitor Lyft to carry at least $1 million in liability insurance, as well as guarantee additional insurance coverage for on the clock drivers when they’re between paying passengers. McCullum said before Uber X rolls out statewide, the company needs to respond to market demand and what communities need. It’s been a great run lately for the 4-year-old start up. Uber announced that after securing additional funding the private company is now valued at 18.2 billion dollars. McCullum said on top of that, the Governor’s approval of statewide ride sharing services proves the company is able to provide reliable service to customers. Uber has been involved in a longstanding conflict with traditional taxi companies. They spoke out against the new regulations saying ride sharing companies have an unfair advantage because they don’t face the same regulations as cab drivers. A number of state legislatures have tried to pass legislation similar to Colorado’s, but failed following push back from taxi companies. California passed ride sharing regulations in 2013 through its Public Utilities Commission, but Colorado is the first in the country to do so through its legislature. As car sharing continues to gain traction among American drivers, Car2Go is one company benefiting from the changing way we use cars. Seattleite David Stewart doesn't own a car. 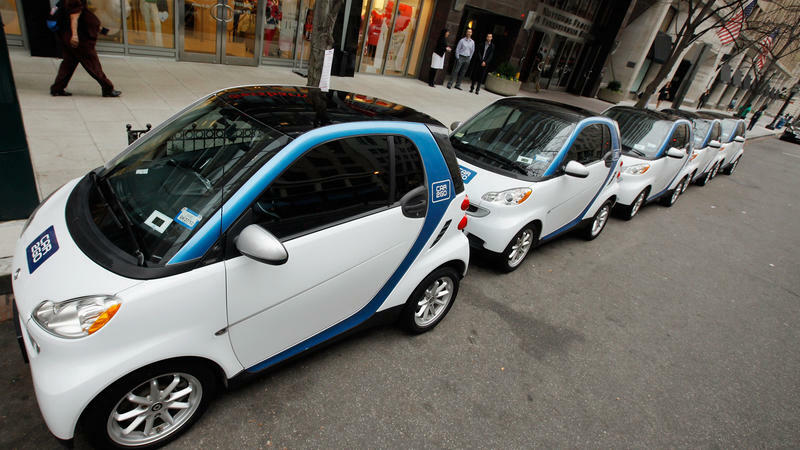 Instead, the managing partner of a small social media company relies on Car2Go for getting around. Uber has faced off against taxi companies and public utility commissions over its smartphone car service in other major cities. Now it faces that fight again in Denver. Spring is just around the corner and that means more Coloradans will be on their bicycles. Whether you plan to ride the mountains or on city streets, the Colorado Department of Transportation just made it easier to pick a route based on where you are headed. I was in the car for about an hour, rolling around Manhattan in the middle of a snowstorm. The ride normally would have cost me $65. But when it came time to pay, my driver, Kirk Furye, was concerned for me. "Are you going to get in trouble with NPR?" he asked. "You are almost at three times the [normal] amount." 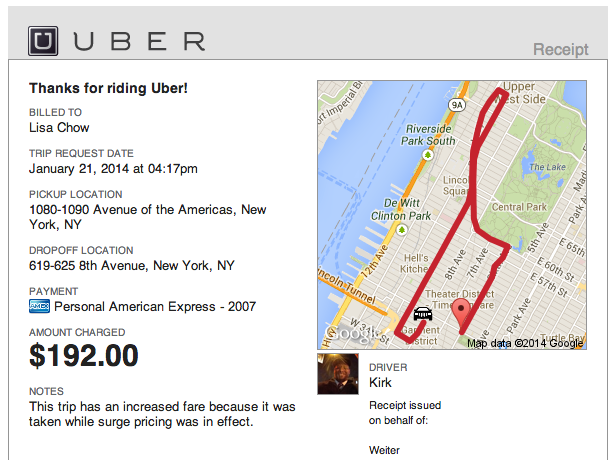 Final cost of a one-hour cab ride: $192.00.